Hello, I have a question if anyone would be able to help. 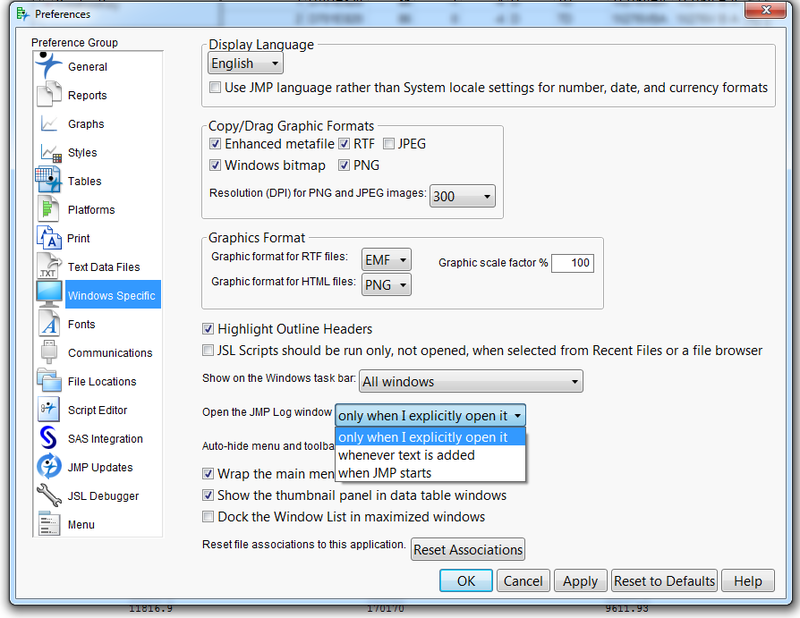 In the preferences > windows specific -- I change 'Open log window' option to 'only when I explicitly open it', but it keep on changing back to 'whenever text is added' after I restart JMP. Is there a way to fix it? Log window keep on opening and it gets annoying, Thx!